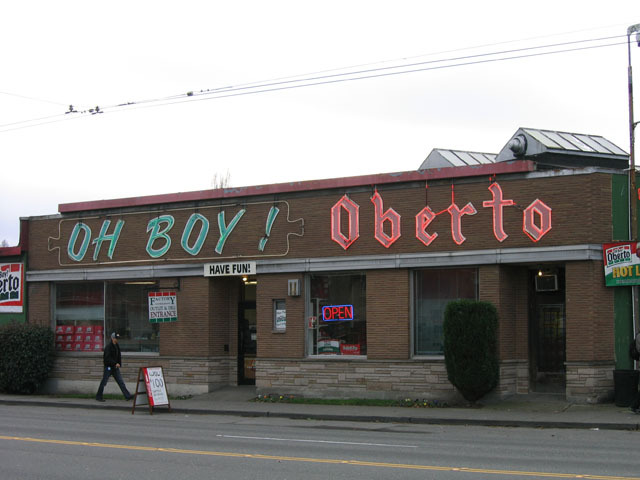 Oberto's Sausage Company’s building is significant due to its association with the Italian American community in South Seattle. It also reinforces Rainier Avenue’s role as a significant transportation and commercial corridor that serves the residential neighborhoods of South Seattle. 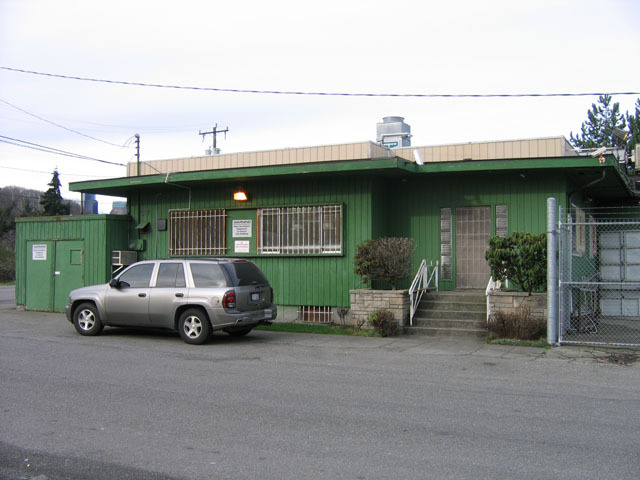 This commercial property is located in the northern end of Rainier Valley, in the area known as “Garlic Gulch.” The building was constructed in around 1912. The Polk 1938 and 1939 directories list Louis J. Longo as the principal occupant of the building. In 1941, it was vacant for a period; but, by 1941, it was occupied by Elmer E. Benner, an upholsterer. From 1942 through 1954, a real estate agency occupied the 1721 space. In 1954, the Oberto Sausage Company moved from its location at 1326 Dearborn to the building’s 1715 address. The historic “Oh Boy! Oberto” company sign was added in the 1950s, and the Oberto Sausage Company gradually expanded to occupy the entire building. 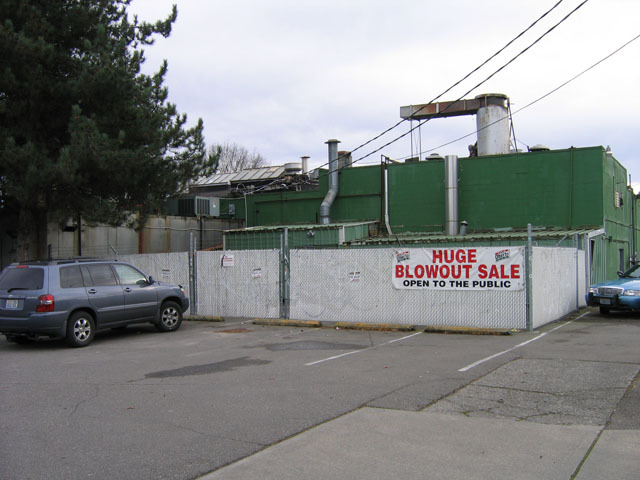 The building is still owned by the Oberto Sausage Company and now operates as the Oberto Factory Outlet. Oberto’s Sausage Company is a well established Italian American family business. 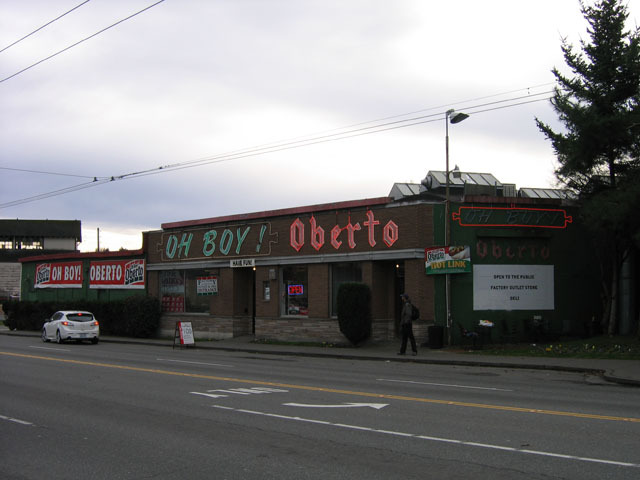 In 1918, Constantino Oberto immigrated to the United States, and the following year founded the Oberto Sausage Company at 1043 S King St, in Seattle’s International District. Constantino died in 1943; since then, the company has been run by Constantino’s wife, Antoinette, and Art Oberto. 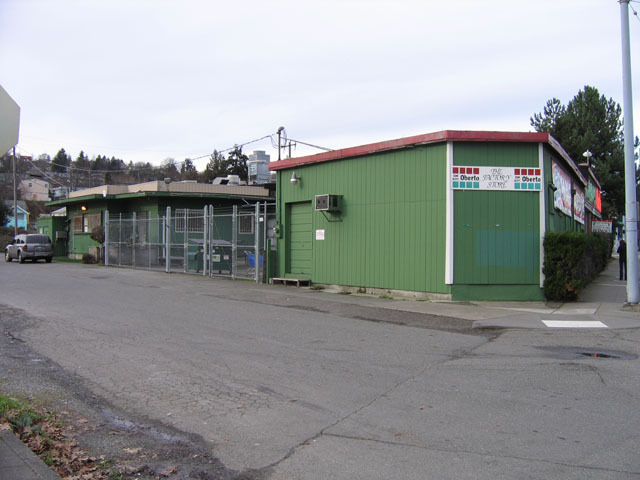 In the early twentieth century, the northern end of Rainier Valley, where this business is located, acquired the historical nickname “Garlic Gulch” due to the strength and predominance of its Italian American community. 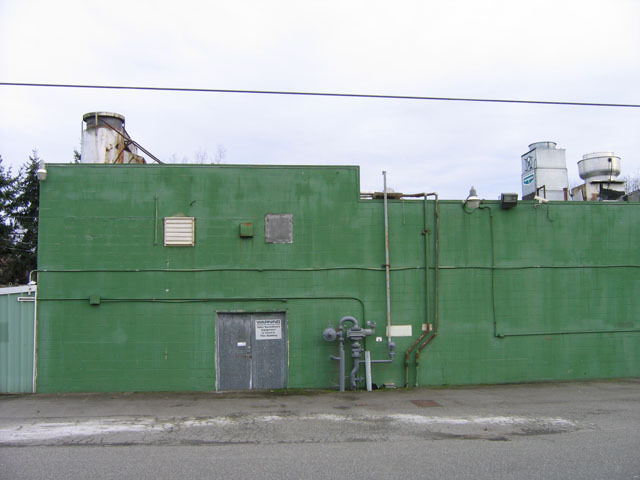 While the building was initially occupied by other industries, the building has been associated with the Italian American community in South Seattle since the 1950s. 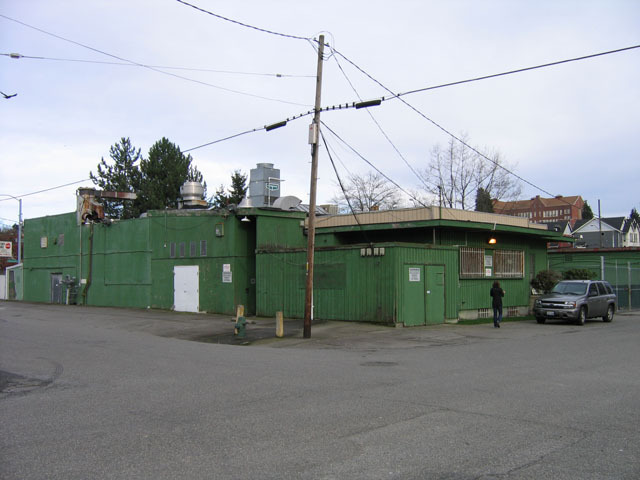 The building’s occupation history and location along the Rainier Valley’s major commercial corridor is significant due to its early association with industrial uses. 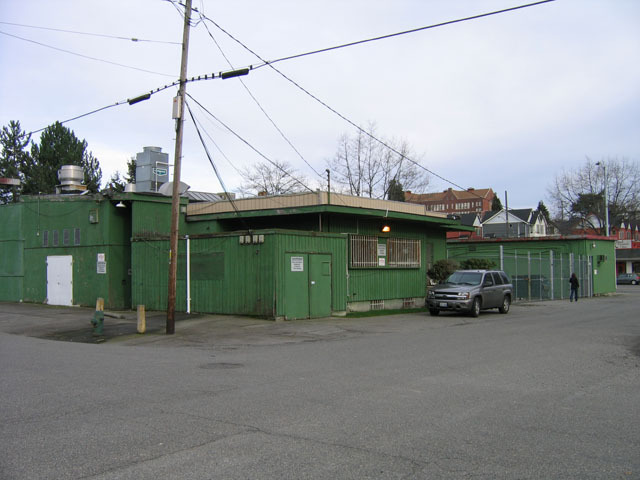 Additionally, its proximity to the clustered Italian community in northern Rainier Valley and Beacon Hill establishes the building as a significant historical structure in South Seattle’s Italian American culture. 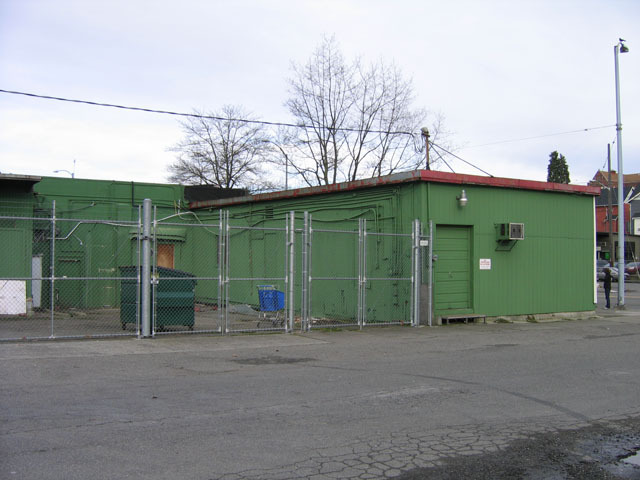 The 11,160 square foot, triangular lot for this retail commercial property is located in a commercial district in Rainier Valley. The lot was originally platted for Sander’s Plat and is located between South Massachusetts Street and South State Street. The building faces northeast onto Rainier Avenue and was initially constructed around 1912. This dynamic retail commercial building has been altered as it was adapted for new uses. This is evident in its varied massing and materials. Presently, the building is characterized by a Modern commercial design. It is one story with a poured concrete foundation, a flat roof, and cladding that includes brick, concrete block, cut stone, and wood. The front facade is characterized by cut stone along the bottom course and brick along the upper courses. The front elevation is punctuated by aluminum display windows that abut stone sills and an upper drip-course. A historical “Oh Boy! Oberto!” neon sign is located along the top course of the front facade. While this property has been altered, it retains many of its historical Modern characteristics, including its one-story scale, brick and cut stone cladding, aluminum display windows, and signage. 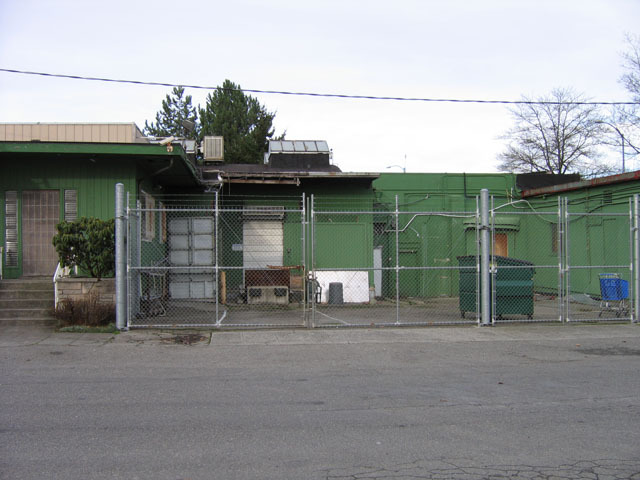 Therefore, it remains integral to the character of the commercial corridor along Rainier Avenue.